We wear several hats, and we're pulling rabbits out of those hats all the time. Sure we have some tricks, but it's our strategic understanding and our creative approaches that make our campaigns successful. Here's a sneak peek at some of the magic we've performed for clients. 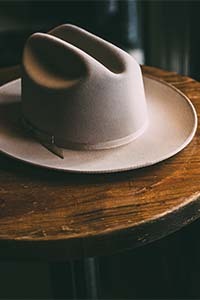 What can we pull out of our hat for your business? If the SPR Team is red in the eyes it's because we have been focused on infrared and the rebranding, content strategy and Web design for Brady Infrared, a national leader in thermography inspections and consultation services. With drones and sophisticated cameras, Brady Infrared provides a colorful perspective into electrical systems, mechanical operations, and building structures. Infrared imagery reveals trapped moisture, hotspots and mechanical risks before they become problems like equipment failure or electrical power outages. The SPR team really wants to fly the drones, but we are just as happy to be the brand counselor, storyteller, and graphics contributors. We like living in an infrared thermography technicolor world. Austin, TX, is one of the fastest-growing metropolitan areas in the country. So many people, so few places to live ... affordably. As the urban core gets more pricey, newer development is staking a claim in Austin's Upper East Side. It's a part of town bustling with technology employers but with the downside feel of suburbia. It's where national developer Reger Holdings plans to bring the best of ATX into a new urban center. An early first step brought SPR onto the team to help brand the mixed-use development and weave a story that conveys a sense of place and belonging for the growing creative class and tech workers that are finding the center of the Capital City too expensive. Welcome to East Village. Soon, the ground will break for a new cultural and business cornerstone where urban density and expansive green spaces commingle with life, work, and entertainment. Austin's East Village will include an urban core of commercial, residential, and retail mix, woven with sustainable parkland and water features connected to a 150-acre naturally wooded preserve and public park. Iconic ATX is about to spread its wings to the city's Upper East Side, and the East Village is going to be the new frontier where the creative class will make its mark on the future of technology, art, business, and the social scene of Austin, TX. The terms “active shooter” and “soft target” are now part of the American lexicon. Demand is growing for situational awareness training. Everyone wants to survive if confronted with a life-threatening circumstance, and Black Tree is emerging as the frontrunner in shaping the right mindset to help individuals feel more secure. By providing elite, custom training, survival techniques, and gun handling and control Black Tree is becoming a BFF with millennials who want an experience, not just instruction. That’s why there is a VR component and instructors are active or former Navy SEAL, Marine or Army Green Berets. That’s also why the team relies on SPR to position its brand effectively and direct the messaging and marketing efforts that create awareness and motivate active participation in its experiential training. Make yourself a hard target. Visionary is a term that captures the essence of Schlosser Development Corporation (SDC). The Austin-based developer/property manager was so focused on its projects and client work that the company's 1990s Web site sat dormant. It became a gross misrepresentation of the company's brand image and capabilities. Now, however, SDC commands a nice visual presence online. The company relied on SPR to help articulate and portray the brand position. SPR shaped a great story about the company who developed the flagship store and world headquarters for Whole Foods Marketplace and the magnetic attraction to what Austinites call the Market District. SDC is the master of developing empty spaces into gathering places in Texas, California, the Carolinas and more. People dig what SDC builds up. If the infrastructure behind the walls, under the floors, or in the ceilings of a corporate campus, military facility or downtown highrise is poorly designed, then the architects usually get the bad rap. That's why smart commercial architects around the world rely on JanCom Technologies. The company's professional engineering and design work makes it easier for contractors to fulfill their install obligations, resulting in effective AV and IT services. And SPR is making it easier for JanCom to stay plugged-in to its customer base with fresh Web content, Direct Mail and email campaigns and creative marketing techniques that make the behind-the-curtain world of IT come alive. A toast to the collaboration among creative architects and technology geeks. An NFL player's love for the game never diminishes. It's akin to the passion Texans have for the sport, nurtured under the Friday night lights across the Lone Star State and fueled through college game days and the NFL. We're excited to be shaping the brand and supporting the marketing efforts of former NFL player Brian DeMarco and the team behind the franchise of Texas high school football and the massive community of players, coaches, fans and national brands who converge to bring the sport to life through Web, social, print and broadcast media. It's pigskin fever, birthed in Texas and spreading across the football nation. Huddle up everyone. From downtown Austin, TX, look east, my friend. A new luxury urban apartment community is emerging that will take east-side living to a new level. SPR is the voice behind the brand positioning and marketing efforts for this residential address that sits where Arnold Oil Company established its Austin presence back in 1977. Historical roots with contemporary settings mark the spot for iconic living in ATX. Welcome home. In San Antonio, the community of Southtown is quickly becoming an epicenter of art, culture, cuisine and residential living just outside the city's downtown center. A new apartment community called the Southtown Flats provides residential living with a flair. SPR is the voice behind the brand positioning and marketing efforts for this new address within the King William District of the Alamo City. Ride your horse, ride your bike or walk along the river. Southtown living makes the state's second-largest city seem small and all the more sophisticated. When private investors purchased this famed Colorado raceway and former host venue to NASCAR, they selected SPR to serve as agency of record. The raceway had been shuttered for many years, and hope was nearly lost that it would ever come back. The agency helped PPIR develop a new brand position, establish its messaging platform, design and develop its Web site and content to reflect its brand position, and now continues to support PPIR with strategic development and communication efforts. The engines are roaring again at PPIR, and motorsports enthusiasts are racing to get there. Face it. We're all getting older. And the older you get the greater your chances of falling, which leads to hospitalizations, and you know how fun that is. When Philips Healthcare wanted to sharpen its focus on serving the senior living industry, it tapped SPR to help develop a strategy and the creative direction necessary to strengthen its position and improve sales of its technology solutions within this vertical market. Our comprehensive campaign included executive positioning, creative for print, Web, mobile, trade shows, video and more. There was no falling down on this job. Sales took a giant leap forward. In case you haven't figured it out, the future of education is online. When Wilson Hill Academy was ready to bring its virtual teaching concept to life, SPR developed the branding strategy and directed all aspects of its brand positioning from Website design to marketing collaterals and video production. The innovative online classroom experience is successfully attracting students from around the world who are looking for AP curriculum courses taught from a classical Christian model. No dress code for attending class. With a green light from the Federal Drug Administration, AffloVest was ready to meet the demand for a truly portable High-Frequency Chest Wall Oscillation (HFCWO) vest. The healthcare product is valuable to millions suffering from respiratory diseases like Chronic Obstructive Pulmonary Disease (COPD), Cystic Fibrosis, Chronic Bronchitis, and similarly related ailments. SPR developed the branding strategy and directed creative ways to launch the product brand in the U.S., including Web, print collateral, trade show support, videos, and more. Many more people are now breathing easier with AffloVest. Not all country clubs are equal. However, newer, bigger private clubs don't always mean they're better than the smaller, older ones. Westwood Country Club in Austin, Texas, needed to redefine itself within a fast-growing market where fitness, swimming, boating and tennis are in high demand. Established in 1955, the club tapped SPR to lead a rebranding effort to reposition itself in a more contemporary light without losing its legacy appeal. The new mark and clarity around the brand's differentiation continue to help make Westwood one of the most sought-after private family clubs in the city. Tennis, anyone? You can guess who gets credit for establishing the Swedish Evangelical Free Church in Austin, Texas, in the 1920s. To be more relevant to the Americans, in 1930 the church dropped its Swedish reference and began conducting worship services in English. Fast-forward to 2014. First Evangelical Free Church of Austin determined its name was a stumbling block to many. The term Evangelical had taken on a politically negative bias, and people were confused about why the free church was passing the offering plate. The post-modern culture was confused about the image of one of the city's most respected Bible teaching churches. Located in one of the fastest-growing sectors of the city, on more than 20 acres of majestic live oaks, the church congregation decided to embrace a new name. All along the way, SPR provided the counsel and brand development that now portrays a more contemporary face with a name that is rooted in scripture and a congregation that embraces its history. Can we hear an Amen?